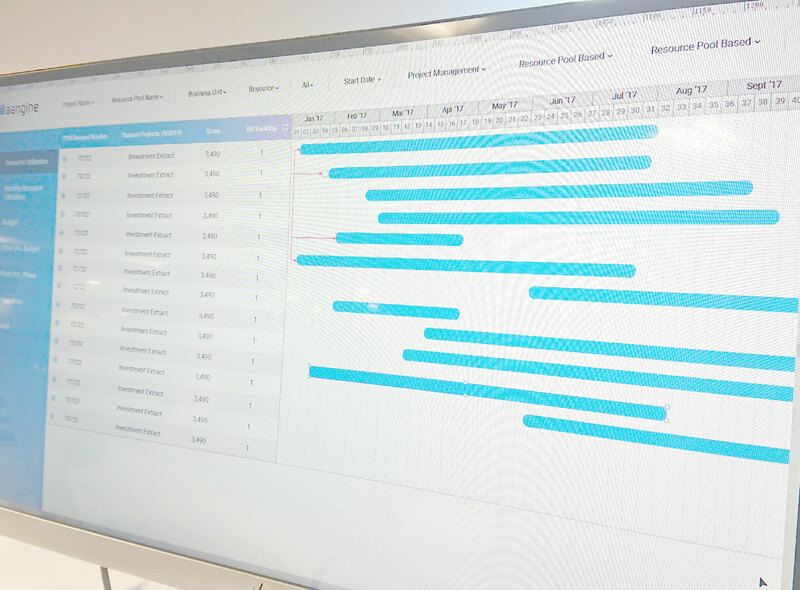 Aangine is a new solution that enables you to plan multiple portfolios of your projects automatically. It becomes an important member of your annual planning process, and assists you continuously during the year to compare the plan against the progress, deciding on the next changes to make in your portfolio. 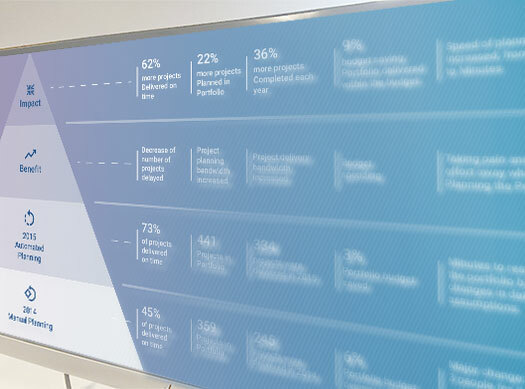 Is your Digital Roadmap at Risk? Most enterprises have invested in the tools, training and methodology. They have seen an increase in governance and collaboration but could not break through the common project success rates. Looking for a resolution, Portfolio Managers seek improvements in the way they prioritize projects and combine them into roadmaps. While designed to eliminate project waste and improve communication to the board, it does not improve the success of the vast majority of projects which are challenged by internal competition for skills and capacity. With Aangine you can plan the whole portfolio automatically. As a Demand or Portfolio Manager, you make your planning assumptions regarding the capacity available to projects and add all new demand to the portfolio of existing projects. 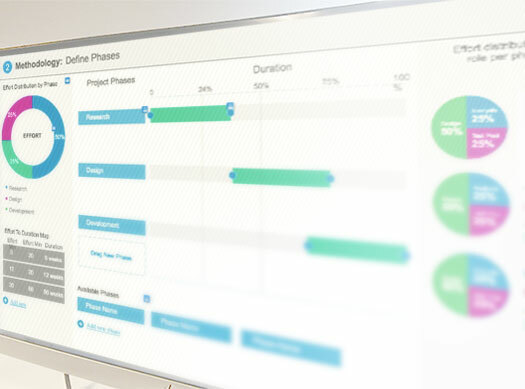 Aangine then produces your initial plan instantly, so that you can iterate further, evaluate and select from several scenarios. Experience of our customers confirms that you can expect direct impact on your portfolio’s project success. There is no need to change the process, methodology or any other related tool. Just replace your existing set of spreadsheets with Aangine, and let it plan your portfolio automatically. 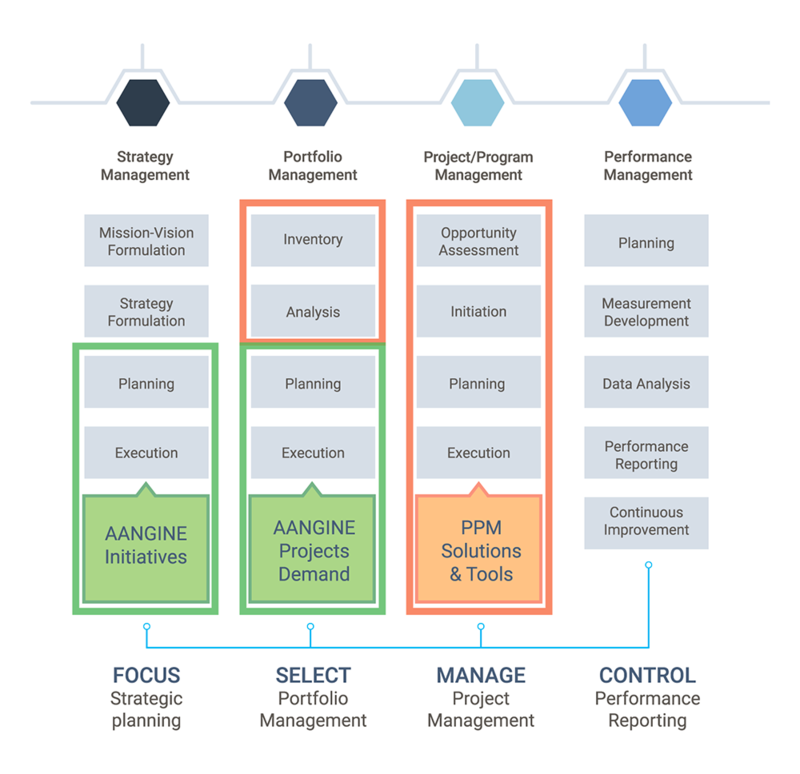 Aangine fills in the functional gap of Project & Portfolio Management solutions by supporting the Portfolio Management Office and Demand Management teams during planning and execution of their project portfolios. For more mid- and long-term planning, Aangine equally supports Strategy Management processes in support of strategic planning and execution. 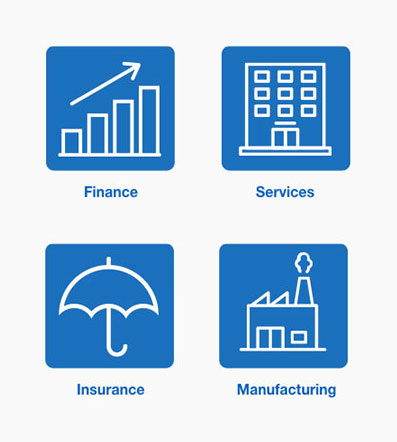 Aangine’s automated approach to Portfolio Planning has already been proven across multiple industries and countries. Get in touch with us to provide you with your very own Proof-of-Value.